It might not be an L-series lens, but the EF 35mm IS USM is an interesting addition to the EF lens lineup. Replacing the aging EF 35mm f/2 lens, it’s Canon’s first 35mm prime to feature an Optical Image Stabilizer and is fractionally larger than we expected it might be. As a lens it’ll be an ideal focal length for reportage, documentary and travel photography on a full frame EOS body such as the EOS 5D Mark III or EOS 6D. Alternatively it could also be used with APS-C DSLRs, such as the 7D, for portraiture with an equivalent focal length of 56mm. The focus ring operates incredibly smoothly and focus distant markings are clearly revealed through the focus distance window. Interestingly, Canon has also fitted both new lenses with re-designed lens caps. These feature a hook mechanism in the centre, so you now have to punch to remove the lens cap near the centre as against at the edges. 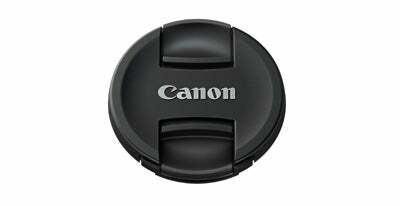 The idea behind this is to make it easier to remove a lens cap when a lens hood is already attached. Trying it, we found it works well, and can expect all future Canon lens caps to feature the same design. To find out even more about the EF 24-70mm f/4L IS USM, click here. 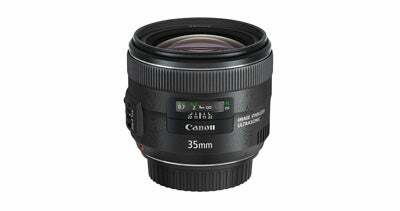 To find out even more about the EF 35mm IS USM, click here.